The Bus from Marrakech to Ouarzazate is very easy and safe to take. You have to understand that what separates Marrakech from Ouarzazate is the Atlas Mountains Range, so, both cities are only 200km away but the trip takes around 5 hours by bus and 4 hours by private car or 4X4. 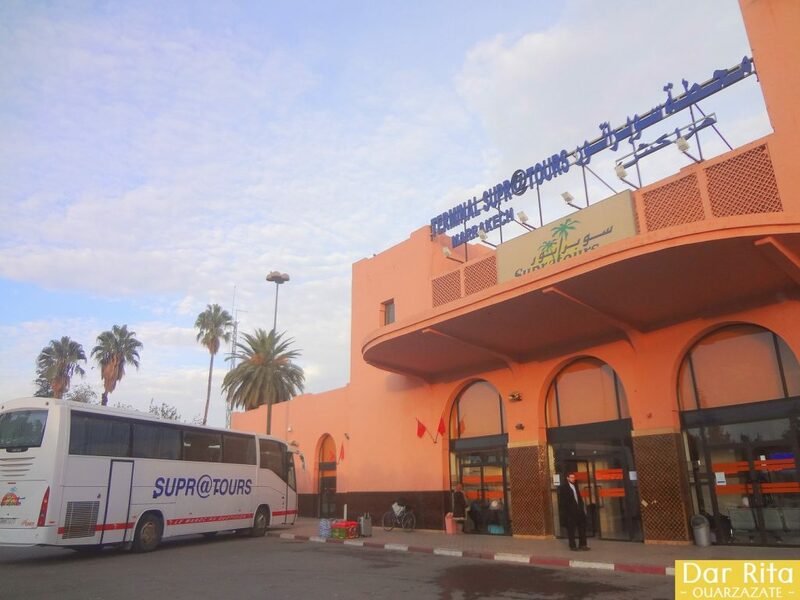 On this page we give you bus travel information for buses departing from Marrakech to Ouarzazate and buses departing from Ouarzazate to Marrakech.